ACT Teachers’ Partylist Antonio Tinio, who voted ‘no’ to the first tax reform package of the Rodrigo Duterte administration, tagged alcoholic beverages as a ‘sacred cow’ that has eluded higher taxes in the new law. 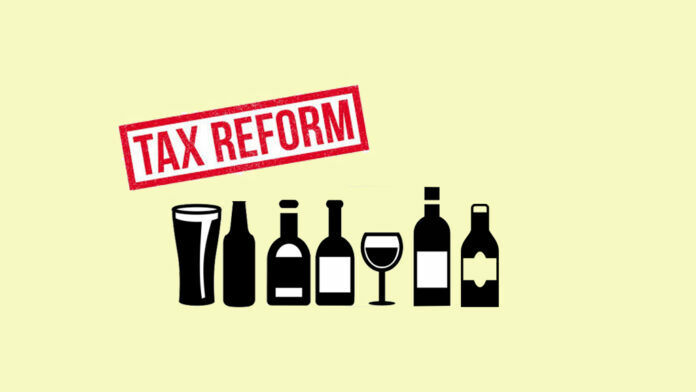 In an interview, Tinio said alcoholic beverages were questionably spared from higher taxes in the Tax Reform for Acceleration and Inclusion (TRAIN) bill, signed into law by Duterte on December 19. “Sacred cow, because TRAIN did not touch on alcohol. Tobacco taxes were raised, there were new taxes were imposed on sugar-sweetened beverages, but alcohol was left out,” explained Tinio in an interview with Manila Today. In the Sin Tax Law, there is a 4% annual increase on the P20-specific tax rate on alcohol from 2016. “According to economists, this rate is too low. The sin tax did not appear to lessen alcohol consumption, supposedly the reason why Republic Act (RA) 10351 was passed,” added Tinio. RA 10351 was an amendment to the taxes imposed on alcohol and tobacco contained in the National Internal Revenue Code of 1997. The higher excise taxes on alcoholic beverages and cigarettes was passed into law by government towards the end of the year as well; ratified by Congress on December 11 and signed into law by Benigno Aquino III on December 19 in 2012. Tinio explained that expanded Philhealth coverage would be sourced from the revenues of sin taxes. The law stipulated that 85% of the new sin taxes revenues would go to health services: 80% of which would go to universal health care under the National Health Insurance Program and 20% for medical assistance and health enhancement facilities program nationwide as determined by the Department of Health. The other 15% would go exclusively to programs to promote economically viable alternatives for tobacco farmers and workers. Tinio also noted that the administrative regulations for the proper or sure taxation of alcoholic beverages are still not in place. “It is striking that after five years, the Bureau of Internal Revenue has not implemented in the local alcoholic beverages industry the requirement of the law that all bottles, each bottle of distilled spirits should have an internal revenue stamp that would be proof that the proper taxes have been paid,” said Tinio. “The law requires that each pack of cigarettes should have a stamp. This was how Mighty got caught,” he said. He added that what is more striking is that in the law itself, fermented liquors like beer are exempted from this requirement. Tinio lamented this is such a big loophole in the law that can be exploited by producers. “So alcoholic beverages is a sacred cow, meaning, local producers of alcohol are influential and protected,” he concluded. Some surmise the omission of higher tax rates on alcohol in the TRAIN would favor San Miguel Corporation owner Ramon Ang, whom Tinio noted to be ‘an oligarch whom Duterte praised among oligarchs he usually lambast in previous speeches’. Ang was said to be Duterte’s friend and campaign funder, also to whom the Philippine Daily Inquirer would be sold after Duterte’s tirades against the newspaper when it was still publishing it’s ‘Kill List’ in the war on drugs. Tinio said that there should be no ‘sacred cows’ such as alcohol if the government is looking to gain more revenues from taxation, as well as not burden the people with new and higher taxes when it cannot raise or properly collect taxes from businesses or ‘sin products’ like alcohol.